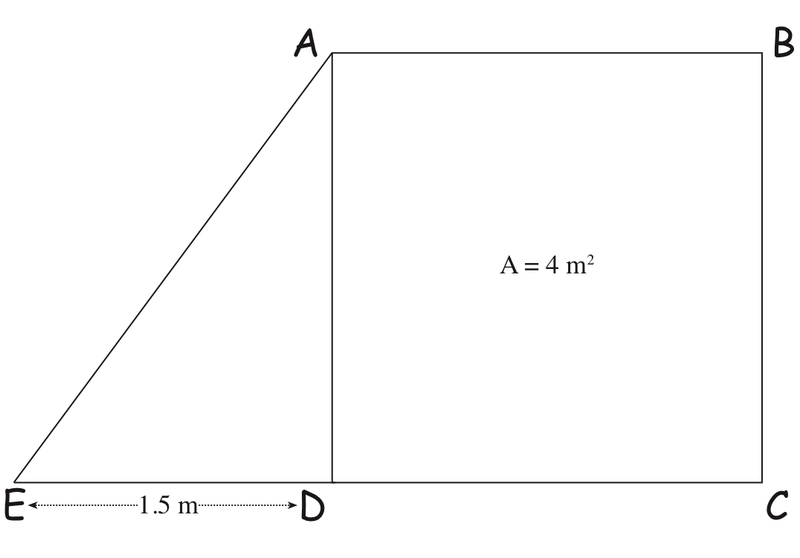 Problem of the Week #16: What is the Perimeter of the Triangle? Figure ABCD is a square with an area of 4 square meters. Figure ADE is a right triangle. One side measures 1.5 meters as indicated. What is the perimeter of the triangle? What prior concepts or procedures do students need in order to solve this problem? Guided Solution to Problem of the Week #15: What is the Area of the Square? What is the Circumference of the Circle? 1) What information is needed for you to calculate the circumference of the circle? Is that information presented on the drawing? Can you figure out the needed information from the information that is given to you in the picture? How will you do it? 2) What does “isosceles” mean? What is the length of side ED of the triangle ADE? How can you use the Pythagorean Theorem (a2 + b2 = c2) to figure out the length of side AD? What is the length of it? Is Line AD part of the triangle? Is it also part of the square? 3) Do we know the exact value of the square root of 2? What do you get if you multiply the square root of 2 times the square root of 2? How do we calculate the area of square ABCD? What is the area? 4) Draw a diagonal from A to C. How can you use the Pythagorean Theorem to figure out the length of Line AC? What is the length of it? Is Line AD part of a triangle? Is it also part of the circle? 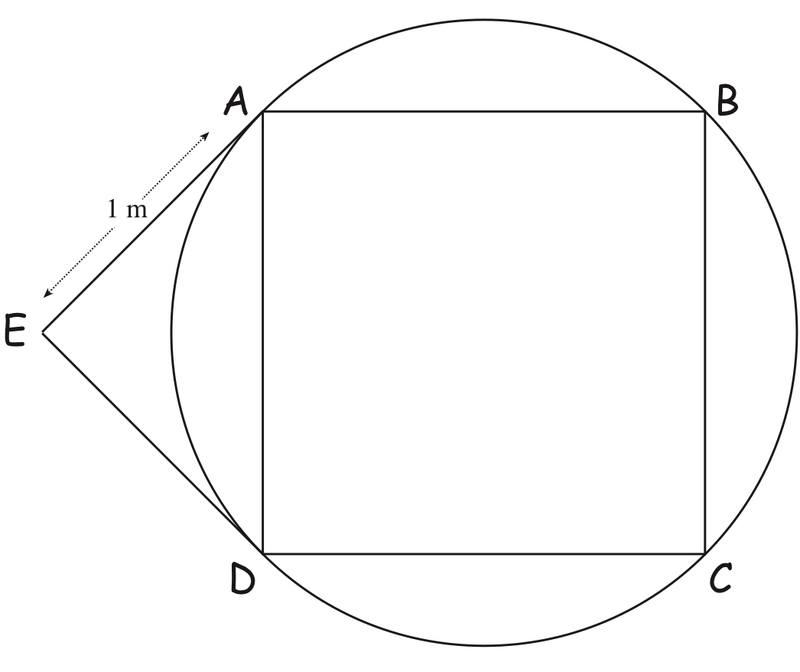 Is the diagonal Line AC the same as the diameter of the circle? How do you know? If you know the length of the diameter, how can you calculate the circumference of the circle? What is it? 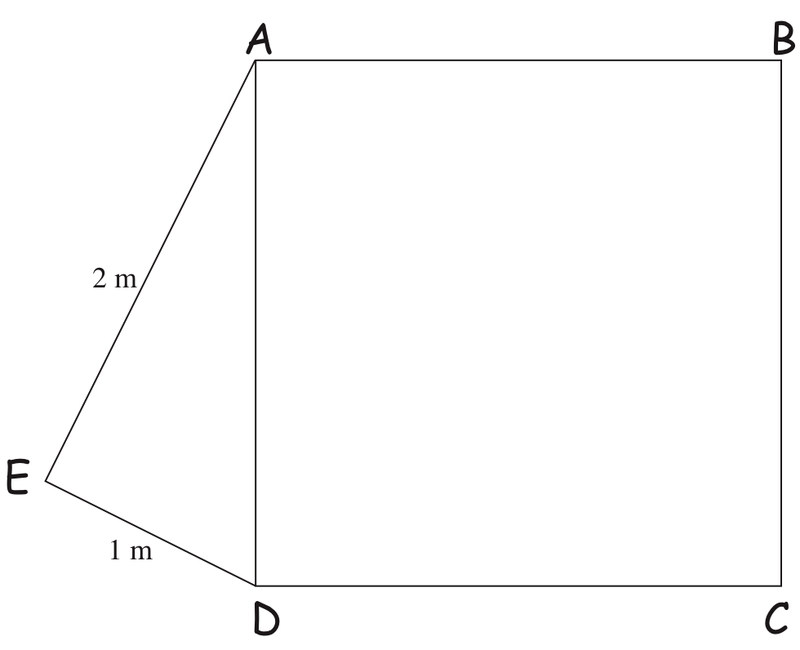 Problem of the Week #15: What is the Area of the Square? What is the Circumference of the Circle? Figure ABCD is a square. Points A, B, C, and D are all located on the circumference of the circle. Figure ADE is an isosceles right triangle. One side measures 1 meter. What prior knowledge/skills do students need to bring to this problem?